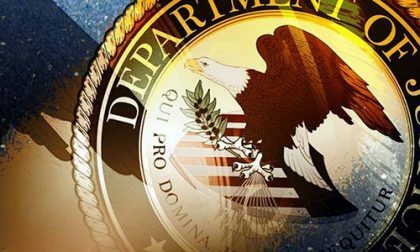 Attorneys from the US Department of Justice [DOJ] have filed a lengthy memorandum in support of their motion to dismiss the lawsuit filed by the State of New Hampshire and its lottery entities against the DOJ over its January 2019 Wire Act reversal opinion that, when implemented, stands to block most forms of interstate online gambling in the US. The 37-page filing dated March 22, 2019, requests that “the Court grant Defendants’ motion to dismiss, deny Plaintiffs’ motions for summary judgment, and terminate these cases.” While it’s unlikely that either the DOJ or New Hampshire and the lottery entities will be granted summary judgment or dismissal, this latest memo and a raft of related filings serves notice that the DOJ has no intention of withdrawing the controversial reversal opinion, an effort it turned out was orchestrated by American online gambling’s number-one bogeyman, Las Vegas Sands, Inc. CEO Sheldon Adelson. Speaking of Adelson and illustrating his continuing close connection to this undemocratic, “crony capitalism” saga, the Adelson- and LVSands-funded Coalition to Stop Internet Gambling has already filed for leave to file an amicus brief in support of the DOJ and the reversal opinion. CSIG will be joined in the amicus brief by the National Association of Convenience Stores (NACS), which will claim that online gambling is a threat to revenue generated by convenience-store “scratch-off” and in-state lottery sales. It’s of some side interest that NACS was convinced to join the brief with CSIG despite the clear language of the reversal opinion likely to render multi-state lottery operations such as Powerball and Megabucks illegal. Speaking of “clear language”, the latest DOJ memo cites four main arguments as to why the lawsuit brought by New Hmpshire and supported by at least 15 other US states should be dismissed. One of the four points reiterates the current DOJ’s clear-language claim within the January reversal that the 1961 applies to all forms of gambling communicated via electric/electronic means, instead of only sports betting. A. Plaintiffs Fail To Allege Any Intention To Engage In Conduct “Arguably Affected With A Constitutional Interest” And Do Not Identify A “Credible Threat” Of Prosecution. B. In The Alternative, Plaintiffs Have Standing To Challenge Only The Specific Conclusions Reached In The OLC Memo. The “lack of standing” asserted is a claim that the lawsuit is unripe because no one has yet been arrested for violating the 2019 reversal opinion. 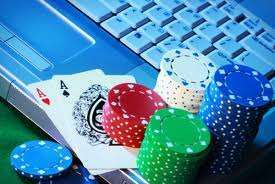 However, that presupposes that there is no chilling effect being placed on multiple states’ already-existing online gambling operations, a point that is sure to be hotly contested. B. The Court Need Not Consider Ambiguous Legislative History Or Statutory Purpose. More suspect claims here, based on the tortuously parsed interpretation of the Wire Act presented in January. That so-called “clear language” has already been challenged by several legal scholars, and it’s curious that the DOJ invites the court to not dig to deeply, instead to simply accept the DOJ’s current interpretation of the six-decade-old Wire Act. And, yes the First Circuit has held that the Wire Act applies only to sports gambling, in the famed Lyons case; this is an attempt, in logic terms to conflate the converse with the contrapositive. This is another way of arguing that New Hampshire’s suit is unripe, and even if the DOJ loses, no injunction against the reversal opinion should be issued. The DOJ’s claim here goes so far as to say that the New Hampshire Lottery could wait until it was charged with Wire Act violations, and then bring up all its claims as a matter of defense against prosecution. While technically true, it utterly dismisses the financial impact the reversal opinion will inflict. A. The Rule Of Lenity Does Not Apply. B. Any Relief Should Be Limited To The Parties. C. Reliance Interests Do Not Inform The Correct Construction Of A Statute. D. The UIGEA Does Not Override Or Conflict With The Wire Act. Those “amici” are, generally speaking, the 15 other states that are supporting New Hampshire’s claims, and some of those states’ amici briefs raise additional legal points. The point on lenity applies to a claim of statutory ambiguity offered by New Jersey. Limiting the parties would mean a DOJ loss would benefit only New Hampshire, but that’s just unlikely to occur. The reliance issue is intended to claim that some US states’ existing online-gambling operations shouldn’t be allowed as a defense, but the same point could easily apply to the convenience stores’ claimed interest as well.